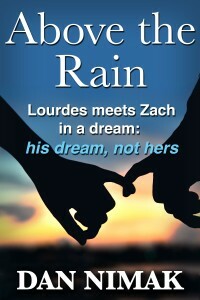 Zach is dreaming when he meets Lourdes, but she isn’t. The first visit to this special place for twelve-year-olds is always through a dream. Return visits are real, but so are the tests and challenges from a world that can read minds. As Zach desperately tries to find his way back, Lourdes’ frightening secret may cause him to lose the only friend he’s ever had. And the magical world they both love may be lost forever.